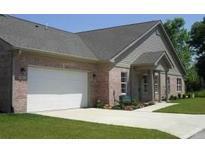 Below you can view all the condos for sale in the Springs At Saratoga subdivision located in Plainfield Indiana. Listings in Springs At Saratoga are updated daily from data we receive from the Indianapolis multiple listing service. To learn more about any of these condos or to receive custom notifications when a new property is listed for sale in Springs At Saratoga, give us a call at 317-987-2530. 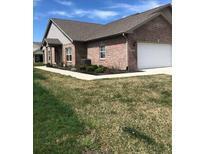 Close to airport, downtown Indy, shopping and dining. MLS#21633649. James Management Group. The Springs at Saratoga is located in an idyllic area west of Indianapolis yet close to shopping, entertainment and downtown Indy. MLS#21633043. James Management Group. Enjoy living in this quiet community with easy access to airport, shopping, recreation and downtown Indianapolis. MLS#21633030. James Management Group. Low monthly fee includes personal water and sewer bill. MLS#21633014. James Management Group. Enjoy the summer days sitting on the patio or by the community pool. MLS#21631220. RE/MAX Advanced Realty. 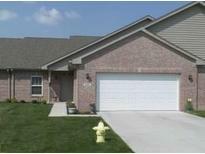 Maintenance free living in Plainfield school system. MLS#21631876. Carpenter, REALTORS®. Located In All-star Plainfield School Area. MLS#21629686. F.C. Tucker Company. Come home to easy condo living! MLS#21626461. Carpenter, REALTORS®. The Location Couldn'T Be More Perfect As You Are Less Than 2 Minutes Away From A Grocery Store, And Less Than 4 Minutes From Downtown Plainfield. MLS#21617847. CrestPoint Real Estate. Gas fireplace and finished garage are standard features. Customize with your selections. MLS#21617310. James Management Group. Customize with finishes and make this home your own. MLS#21617298. James Management Group. Low monthly fee of $159 includes water, sewer and trash. MLS#21606666. James Management Group. Low fee of $159/month includes water, sewer and trash. MLS#21604774. James Management Group. Upgraded Luxury Vinyl Plank Flooring and upgraded Cabinets. MLS#21604118. James Management Group. 2 bedroom/2 bath w Fireplace, Covered Patio and 2 Car Finished Garage. MLS#21591463. James Management Group.